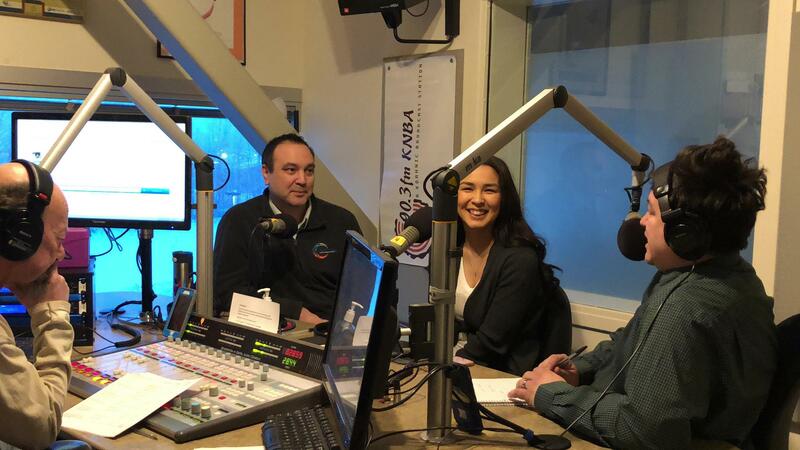 Alaska Native Professionals Association Members Jerrod Anderson and Angela Jenkins visit Morning Line Staff at KNBA's Studio. Jenkins says attending the meetings is only one of many opportunities for participation, including sponsorships, and membership in the organization, speaking at the Gatherings, and suggestions for venues. Today's event is a Gathering, featuring speakers Mark John and Andrea Sanders, speaking about how traditional knowledge helped guide them through their professional careers. Angela Jenkins and Jerrod Anderson talk about the Alaska Native Professionals Association, ANPA, and a Gathering scheduled for today.